I ran the Boston Marathon on Monday, April 15, 2013. Here are some of my words written to a friend who also witnessed the horror at the Boston Marathon. “I am ok. Still in shock. today it hit me that I ran right through there. Not ok about all of that. My husband could have been right there watching when it happened. I am struggling to come to terms with this and feel completely heartbroken by all of the stories of all of the people. They are people just like us. People celebrating the accomplishments of the friends and loved ones and just out enjoying a beautiful day. I was one block away. I was still regrouping from my race finish. Still kind of out of it. It was about 20-30 minutes post race. I was standing with another young woman. We were putting on warm clothes. The sound was horrific. So loud and the smoke was a clear indication that something was not ok. We both felt a sinking feeling and then the sirens began. At that point I had already spoken to my husband and my parents and had been on a super high from posting a requalifying time. After the explosions I couldn’t get through to my husband again but new he was on the T. I was terrified. What if there were more bombs on the trains. I went to the family meeting area. Still alone. My phone died. That’s when I lost it. I was sobbing into the arms of a complete stranger. What had happened? Why? Was there going to be more. Were we safe. While we stood there andI frantically tried to reach family some young men ran through screaming, “EVERYONE needs to GET OUT NOW!!!! Go to MASS General, people are dying.” I was afraid, panicked. Thoughts were racing. Was something else about to happen, was there a bombing at the hospital. “What the %&*#!!! !” I sat for almost four hours, stiffening up, waiting for my husband, petrified, but thankful for gracious strangers who offered me assurance and warm clothes, thank you Annie . . . wherever you are. I was shivering, out of fear, and cold, and exhaustion. I sat with a mom, Annie for a long time who was trying to find her daughter who thankfully was ok. Finally my husband found me as they were about to evacuate everyone to the Boston Common. I was relieved to see him but stunned. I am thankful that we were not closer. One cannot help but question how fate chooses where you will be at any given moment. When we found each other we had 3-4 miles to walk back to the car, an eerie walk with street blocks off and the sound of sirens filling the air, an ambulance, police car, or fire truck around every turn. I felt numb, shell-shocked, and just numb. I am trying to process this but don’t understand. May there be peace for those still suffering . . . Thank you for sharing your heartfelt personal feelings. Even at 350 miles away watching on TV I shared the heartbreak, sorrow, horror of the event. Chronic injury was all that kept me from being there. My time would have been very close to 4:10 had I qualified. 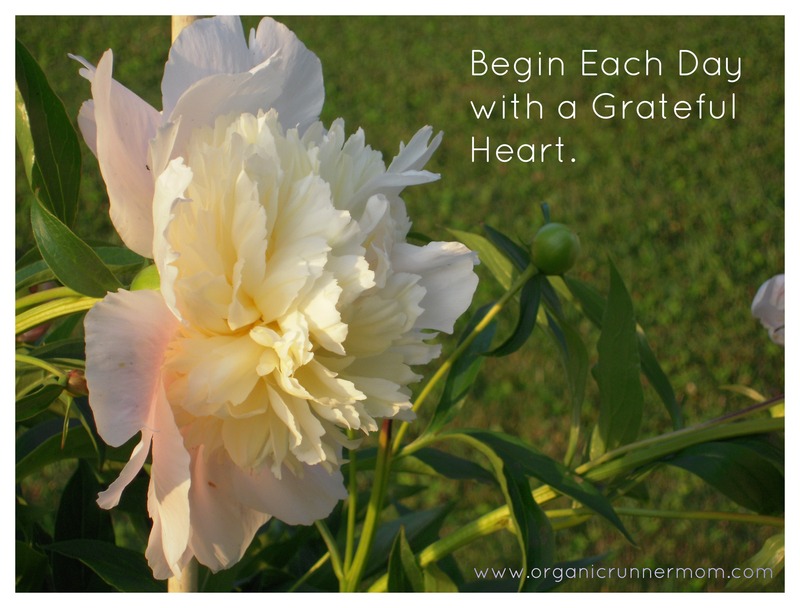 Being “Grateful” is a good start to moving forward. This has been a very hard week. I had a very similar experience, except I was so lucky to have reunited with my husband about 10 minutes before everything happened. I’m glad that in the midst of everything, you had strangers to lean on, and I’m very glad that you and your family are safe.